An island of smooth hills covered in dense jungle, bright white sand beaches, stunning waterfalls, wonderful food and easygoing culture, Jamaica has long been a paradisiacal retreat for travelers seeking peaceful relaxation. These four- and five-star Jamaica luxury resorts offer guests a chance to play in the turquoise waves, sample Jamaican cuisine, soak up the sun and enjoy a slower pace of life surrounded by unsurpassed beauty. We’ve included top luxury hotels in Jamaica, suitable for families with children, honeymooners, adult-only and couples. All-inclusive convenience and a stunning location are two of the most compelling reasons to visit the newly refurbished Sandals South Coast. Nestled on a point of land surrounded by immaculate white beaches and thick jungle, this Jamaica all-inclusive luxury resort offers no less than six bars and eight restaurants. Spacious rooms feature British colonial-style furniture, and some even include a private butler. Water sports abound, and the fitness center and spa will keep guests in top shape. Read these TripAdvisor reviews to see how guests felt during their stay at this 5-star resort. Sandals South Coast is one of the best hotels in Jamaica for couples, offering the perfect environment for romantic stays, honeymoons or weddings. Unique among Jamaica luxury resorts, this exclusive hotel was once home to author Ian Fleming of “James Bond” fame. He penned all of his novels here, and now visitors can come to be inspired by the same peaceful beauty that first attracted him. The pool and the Caribbean Sea form the backdrop for two restaurants serving delicious Jamaican favorites like jerk chicken. Quaint beach villas, huts, and cottages with all the modern conveniences offer either lagoon or ocean views. Guests at the GoldenEye have had an excellent stay. Don’t take it from us, but from these guests that wrote praising reviews on TripAdvisor. This cozy 4-star Jamaica hotel is perfect for families and couples. Seaside cottages with large verandas and impeccably decorated, spacious villas allow guests to enjoy ocean views and beach access in total comfort. Dining under the stars on the catch of the day prepared with Jamaican flair is the perfect way to end a day of strolling along the beach. Therefore, enjoy time in the spa and explore the local sights. There’s a fitness room with cardio equipment and free weights, or you can try your hand at a game of croquet on the expansive lawn. The Jamaica Inn is on our Jamaica luxury resorts for a reason: all those who have stayed here have nothing but praising words. This private Jamaica beach resort is perfect for honeymooning or vacationing with friends. All-inclusive convenience is just one reason this iconic resort and spa is considered one of the finest in Jamaica. 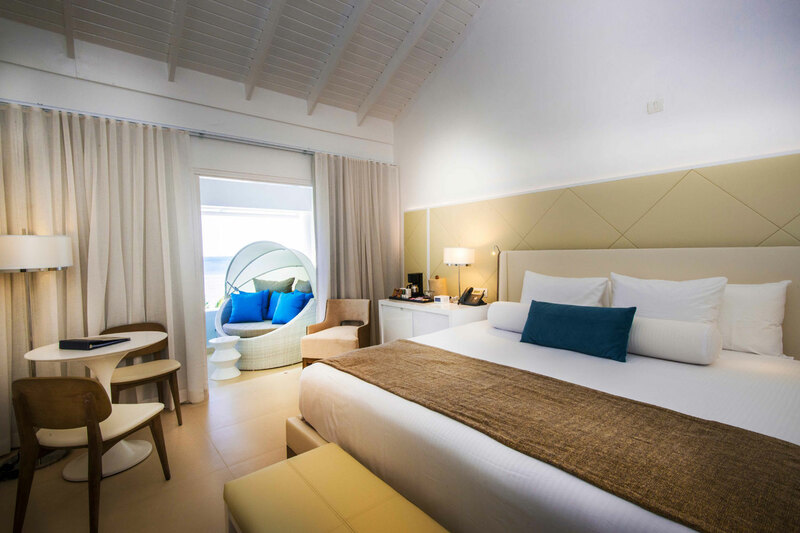 Situated in the perfect beachside location five minutes from Ocho Rios, the 4-star Jamaican resort and spa will allow guests enjoy spacious rooms with sea views. Live entertainment from the many restaurants and bars in the area will make your Jamaican stay even more pleasant. There are also water sports and a full-service spa. There are many planned activities and an indoor playroom for the kids, making this one of the best all-inclusive luxury resorts in Jamaica for families. Read these guests’ reviews to see what they experienced during their stay at the Moon Palace hotel. Two miles of private beach on a 400-acre estate set this stunning resort apart from the rest. Well-appointed, spacious rooms offer both couples and families the chance to relax in comfort. Guests may find themselves lounging by the pool, taking a riding class at the equestrian center, or practicing yoga on the beach. Perhaps sampling the cuisine in one of the many restaurants is the best way to end a full day of activities. Kids will be enthralled by the adorable Children’s Village, with its colorful cottages, play equipment, and daily activities. What could one expect from a hotel that is family oriented? Well, these reviews written by other guests speak for themselves. This might be one of the best Jamaica luxury resorts for families. For visitors who prefer the mountains over the sea, this hilltop Jamaica resort features stunning views over misty, lush jungle and the sprawling city of Kingston below. The on-site restaurant features fresh lobster, crab cakes, and dishes prepared with Jamaican spices. The spa uses native ingredients like coffee and coconut in their body scrubs. Noteworthy are the many hiking trails to explore. Read these testimonials written by guests to see why this 4-star luxury Jamaica hotel is worth it. One of the premier Jamaica luxury resorts, Azul Sensatori offers wedding services for engaged couples, activities for kids and teens, gourmet meals for food lovers and a host of other amenities. Rooms are spacious and decorated in sleek modern style. Some suites even feature a lazy river right outside the back door. Spa treatments for kids and adults focus on wellness and relaxation. Go through these guests’ testimonials to see what awaits you at Azul Sensatori Jamaica. Pricing: $364 – $966. Best check the room rates, as they can jump really high during the season. Over 100 acres of lush jungle and unforgettable beaches greet visitors to this Montego Bay gem. This is one of the genuine Jamaica luxury resorts where you can luxuriate in a room with ocean views or pick a secluded villa for a more private setting. Three restaurants are ready to introduce guests to the delights of Jamaican cuisine. Guests have complimentary use of snorkel gear and paddle boards for exploring the wonders of the clear, balmy water. Paradise seems closer at the Round Hill hotel. So go through the thoughts that guests left on TripAdvisor after their stay to see why this 4-star Jamaica hotel is a piece of heaven. A friendly staff is on hand to welcome guests to this stunning oceanfront Jamaica resort. Even more so, the Grand Palladium boasts one of the largest swimming pools among Jamaica luxury resorts, as well as fun activities like mini golf, archery, tennis, basketball, and aqua-aerobics. There’s a casino with table games for testing your luck, and a Mini Club for keeping little ones entertained. A large number of bars and restaurants ensures that there’s always a table available. If you’re preparing for a stay at the Grand Palladium, better go through these guests’ opinions about this Jamaica luxury hotel and their experience. With adults-only exclusivity and unparalleled styling, this unique and idyllic retreat sits perched dramatically on cliffs overlooking the water. Party late into the night with exotic cocktails at the bar and enjoy a brown sugar body scrub in the on-site spa the next day. No detail goes unnoticed in the dining room, where local produce and fresh seafood are always on the menu. Guests can cliff dive or snorkel through the limestone caves and enjoy a kayak exploration of the surrounding area. Another great luxury resort to stay during your trip to Jamaica. And here’s why: guests wrote it all. Hike through the jungle to view rare bird species, rent a jet ski and explore offshore, try deep-sea fishing, swim with dolphins, horseback ride down the beach or golf on championship courses. Whatever your passion, you’re sure to make wonderful memories on this unforgettable island. If you’ve ever had a chance to visit or even stay at one of these exclusive Jamaica luxury resorts, let us know all about your adventures in the comments below.